In order to understand electronic structure and the behavior of electrons, we must understand wave functions, as electrons travel in waves. wavelength: the distance between two successive peaks or troughs of a wave. Note: 1 m= 109 nm since wavelengths tend to be very small, nm are a more a practical unit to use. Wavelength (λ) and frequency (υ) of a wave are inversely proportional. 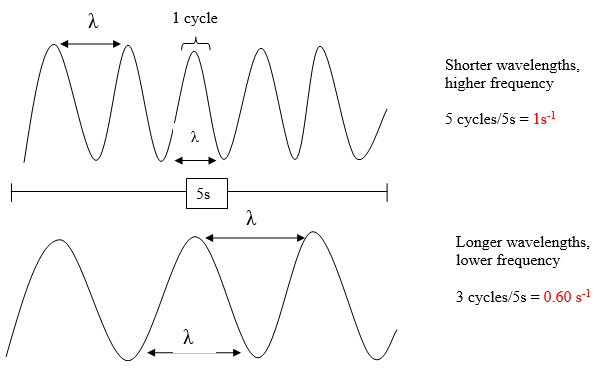 As wavelength increases, frequency decreases.